The Geektified Blog: The Geekcap Roundup: Agents of S.H.I.E.L.D. Agents of S.H.I.E.L.D. 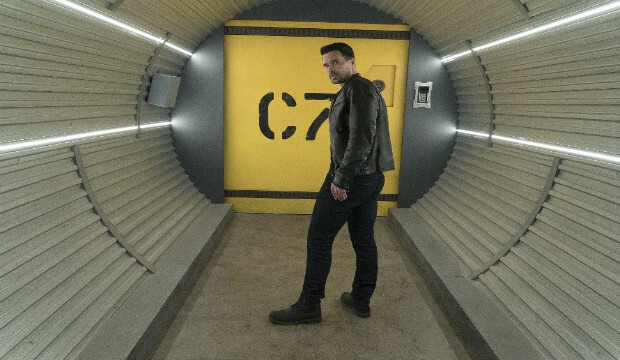 "Identity and Change"
Daisy and Simmons sneak Coulson out of his school as Ward plans to sneak them to the location of the Resistance. In their rush, they soon discover that Radcliffe is also present within the Framework, hopefully with a way for them to escape. However, Daisy is soon taken aside by May and Fitz as they prepare to hunt down Simmons as a SHIELD traitor. Simmons and Coulson manage to reach the Resistance at their former SHIELD base restored and led by an Inhuman Jeffery Mace. Against his better judgement, he lets Simmons and Coulson go to retrieve Radcliffe with Ward as extra protection, against Simmons’ wishes. Meanwhile, Mack and his daughter Hope are interrogated by Hydra forces after his daughter reconstructs a Hydra drone. Once captured and interrogated by May, Mack outs Daisy as a traitor to gain his and his daughter’s release, something that shocks Hope after Daisy was kind to her. Simmons and Coulson confront Radcliffe as he appears to be hiding in a remote island with Agnes. Unfortunately, he reveals that his own way of escaping the Framework has been destroyed, believing that AIDA likely also interfered with their route as well. At that moment, Madame Hydra assembles forces to attack Radcliffe with Fitz threatening to kill Agnes for Radcliffe’s interference. Radcliffe tries to appeal to Fitz’s better side, but Fitz still shoots and kills Agnes to the horror of Simmons. Ward manages to evacuate Simmons and Coulson, but Radcliffe is taken in the impact. Once they return to the base, the team is surprised to find Mack who expresses a desire to help after betraying Daisy. Unfortunately, after Daisy and Radcliffe are now captured at Hydra, Fitz outs her as an Inhuman and prepares to have her experimented for her betrayal. The girl who speaks to Coulson is played by Clark Gregg’s daughter. The Wall of Valor in the base has many familiar names including writers Brent Fletcher and Paul Zbyszewski. According to Simmons, Fitz’s full name is Leopold James Fitz.